Day And Night Air Conditioning and Heating, Inc.
Sun Devil Heating and Cooling, Inc. Comment: 1944 sq ft single story house, built in 1998....time for an Upgrade in Central AC! Comment: 2 story home. Has uneven cooling/heating on each floor level. Currently has 17 year old , 3.5 ton, 11 seer Lennox split system that uses outdated r-22. Comment: Heater turns off after working, thermostat goes blank. Comment: Heater turns off , thermostat goes blank. Comment: I would like to get an estimate for repairing my furnace. Comment: I would like to get an estimate for installing a propane gas fired system. Cooline A/C & Heating, Inc.
Avondale Heating & Furnace Contractors are rated 4.75 out of 5 based on 2,263 reviews of 42 pros. 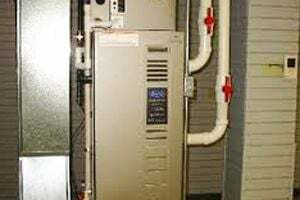 Not Looking for Heating & Furnace Systems Contractors in Avondale, AZ?